Treatment differs from healing. Accidents leave you with scars that are beyond medical treatment. While you might be treated in a hospital accident chiropractor Phoenix takes it from there to provide all-rounded healing. The targets are areas that have been injured and wounds that could be psychological. We provided different approaches during chiropractic. The exercise will help to relieve pain, some of which could be beyond painkillers. Pain relief chiropractic is also meant to get you off drugs that leave you dependent on them or with severe side effects to deal with. Even when you are on drugs, there is a level of relief that is impossible to achieve because doctors cannot prescribe medicines of a particular strength. Chiropractic will provide a solution. Pain relief sessions are also meant to supplement medical treatment. Medicines are given up to a certain dosage. This might not coincide with proper healing. The sessions are organized 2-3 times in a week. This will relax your muscles and speed up the process of healing. Frequent sessions will be organized for 4 to 12 weeks. Within this period, you will have achieved substantial healing that is impossible when using drugs. We have highly trained and experienced chiropractors to handle any injury or accident condition. Their training focuses on different parts of the body and how they are affected during accidents. This training ensures that your condition is handled professionally so that it does not escalate. The chiropractors will take professional responsibility for their actions. We provide corrective care where tissues and muscle have a chance to heal completely. This is especially helpful for athletes and sports personalities. If an injury does not heal effectively, the chances of recurrence of the injury are high. You will be advised on steps to take to ensure complete healing. This restoration is important if proper healing is to be achieved. We also provide wellness chiropractic care. Once you have healed or are not even injured, you schedule visits several times a week. The aim is to keep you healthy and avoid injuries. 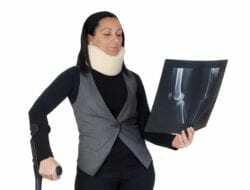 We understand the devastating effects of injuries on lives and careers. With our professional services, the chances of injuries and accidents will be reduced significantly. Do not worry about chiropractic charges. We provide the most reasonable rates. Our charges are customized to reflect the services you are receiving. We negotiate flexible payment terms to make it easier and affordable to get quality services. 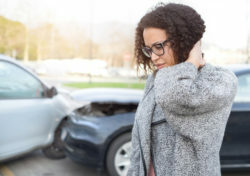 Talk to us for the best accident healing chiropractic package.